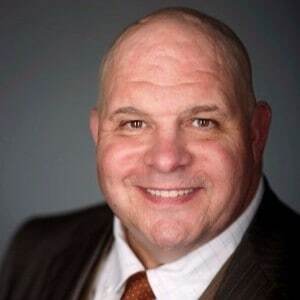 John Spence is an author, business management consultant, executive trainer and speaker with a client list from the Fortune 100 to small businesses and other organizations around the globe. At 26 John was the CEO of an international Rockefeller foundation, overseeing projects in 20 countries. Just two years later Inc. Magazine named him one of America’s Up and Coming Young Business Leaders. John is recognized as one of the Top 100 Business Thought Leaders in America, one of the Top 100 Small Business Influencers in America, one of the Top 50 Small Business Experts in America and one of the top 500 Leadership Development Experts in the World. The American Management Association named John one of America’s Top 50 Leaders to Watch along with Sergey Brin and Larry Page of Google and Jeff Bezos of Amazon. John was named one of eight finalists for the Breakthrough Idea Award for the Thinkers50 2017 Distinguished Achievement Awards. The Thinkers50 celebrates the thinkers who have contributed the most to management thinking and practice over the last two years and whose ideas drive the conversations of the day. He is a guest lecturer at more than 90 colleges and universities including MIT, Stanford, Cornell, Wharton School of Business, University of Auckland, Canterbury University, University of Krakow and Kozminski University. He was the owner or CEO of six companies and currently serves as a board member or adviser to several organizations and executives.